As you may already have figured out….I’m definitely not one to stop technology from advancing. But there are some things I would like to see stay the same: Newspapers and books being two of the most important. Call me old fashioned. All you have to do is walk into a Library (yesterday we went to various U.C. Berkeley libraries so Kristen could do research for her History “beast” paper) or a book store (especially one of those old neighborhood used book stores). The smell and feel of a book is something I do not want future generations to lose. There is reassurance (especially now when the economy is so stressful) in curling up with a good book and reading. Turning the pages, going back, taking a peek forward…the excitement, the adventure, the love of a good book. However, progress will happen and it may be that someday electronic books will overtake books in popularity. There are certain advantages to an electronic book. It is very portable (see Figure 1). I could (if it was available in electronic form) bring the entire Bram Stoker collection with me (which I do not do now since the book is huge). 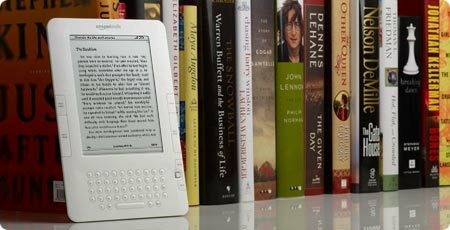 An electronic book can read to you if you need that. Soooo, in the interest of keeping up with progress. Amazon is, in my opinion, leading the way in the electronic book race. 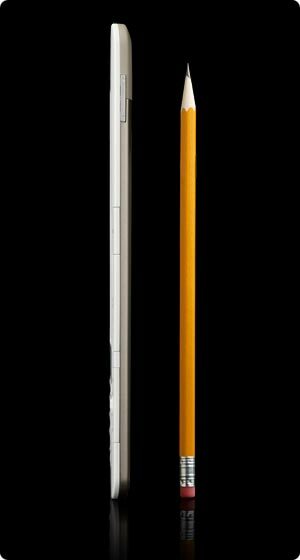 Check out this link and read just about everything you may want to know about the new Kindle 2. Amazon has done an excellent job with this page…including videos and pictures to help you understand the Kindle. I have not tested the Kindle or Kindle 2. But I would like to, unfortunately, starving blooger and substitute teacher, stops me from purchasing one right now. It has 3G wireless capability so you can download a new book from just about anywhere (Amazon says they pay for the connection…). I do not see that 802.11 connectivity is supported (but maybe I missed it). The Kindle has improved page turning time, and readability with 16 shades of gray. Amazon says you can “read for days” without recharging, and it has a library of over 230,000 books, newspapers, magazine and blogs(! ).